In 2010, New York state consumed more than four times as much energy as it produced (3,728 trillion BTUs vs. 867 trillion BTUs). Although these numbers seldom if ever find their way into rallies and rhetoric, the protracted debate over shale gas in the Empire State is hopefully compelling residents to pay closer attention to where energy comes from and how they use it. The consequences of flipping a switch should become less of an abstraction now that the on-shore drilling boom has brought the extraction energy to our collective back yards. Despite consensus that fossil fuels are not sustainable – even the fracking proponents pitch natural gas as a “bridge” to a world someday powered by cleaner alternatives – acceptance of renewable energy has, for various reasons, yet to reach critical mass. Whether or not fracking takes us across the bridge to the next generation of energy, there are paralyzing chasms that must be crossed, one way or another, in policy and politics. In New York state and other places, there is the gulf between the energy consumed and the amount produced – a disparity that is more unsettling as competition for cheap carbon continues to increase globally at unprecedented rates. 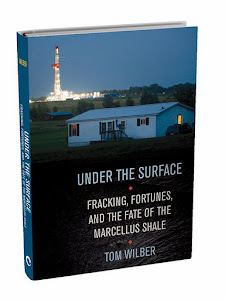 There is also a chasm between opposing visions of our country’s future by patriots for and against shale gas development. And there is a certain disconnect between the past and future that we are unable to bridge in the present. The moratorium on shale gas permits in New York is approaching its fifth year anniversary (July 23) with little signs of advancing state policy on the broader issue of energy. 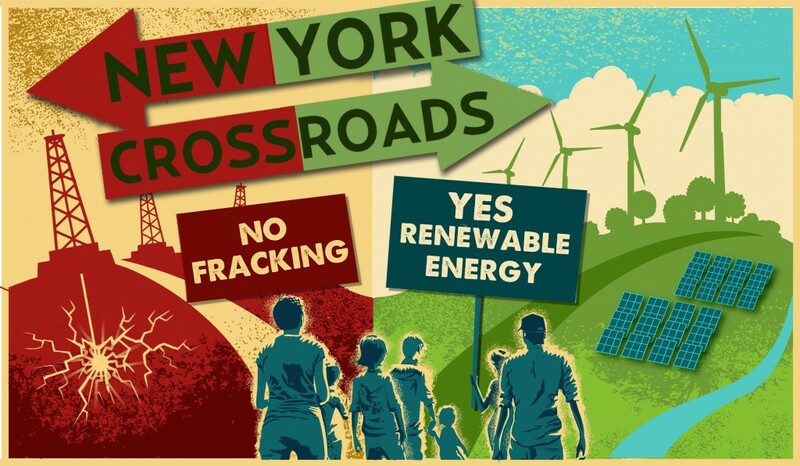 Anti-frackers are seizing the moment to showcase their way forward with a plan that demonstrates how New York can make up its energy shortfall with other natural resources – sun, wind, and water. New Yorkers Against Fracking, a grass roots political action group, is organizing a rally in Albany on June 17 “calling on Governor Cuomo to reject fracking and lead the nation in constructing a renewable energy economy here and now in New York.” Until now, the anti-fracking movement has put more energy into shutting down fracking than proposing concrete alternatives. It’s encouraging to see the movement harnessing its considerable grass roots punch to advance the discussion rather than simply to fortify an impasse. While banners, placards, slogans, marches, and chants will be the natural and time-honored means for delivering political pressure at the Albany rally – called New York Crossroads -- the concept behind the rally is based on research by a group of scientists, economists, and academics. The result is a paper published in March in Energy Policy, an international academic journal dealing with political, economic, environmental and social aspects of energy. It spells out empirically how New York state can wean itself from fossil fuels and convert completely to renewable energy sources by 2050. New York governor Andrew Cuomo’s hesitancy over fracking provides a stark contrast to the approach of the Obama administration, which has characterized shale gas development as “a priority” in the country’s energy future. Now the anti-frackers hope to present the ambivalent New York governor (and potential presidential candidate) with a blue print to overcome the political inertia and practical barriers to advance beyond fossil fuels. The report considers the cost and feasibility of powering New York’s residential, manufacturing and transportation sectors with solar, wind, and water energy technologies -- combined with reduction through inherent efficiencies. It also accounts for known health risks associated with carbon fuels. Not surprisingly, it is drawing challenges and criticism on many fronts, including questions about the reliability of a post-carbon grid adjusting to power flows and natural cycles, and behavioral changes, capital sources, enterprise, and political shifts that will be necessary for a renewable energy plan to flourish. Those on both sides of the fraking debate – now being recast in New York as the fracking versus renewable debate -- see Cuomo’s leadership as pivotal. He could allow fracking in New York as it has proceeded in Pennsylvania, free of a severance tax and exempt from water conservation and hazardous waste handling laws. This would channel more capital into drilling and related infrastructure and contribute to a glut of cheap fossil energy that hurts the competitive position of renewables. Or he could tilt the scales in the other direction, allowing greater incentives for renewables while discouraging shale gas development. Authors of the report – titled “Examining the Feasibility of Converting New York State’s all-purpose Energy Infrastructure to one using Wind, Water, and Sunlight” --have been promised an audience with Cuomo, Ingraffea said, which has yet to happen, but they are encouraged by the governor’s hesitancy to approve fracking and the mounting political pressure to provide answers. The State possesses considerable renewable energy potential. Several powerful rivers, including the Niagara and the Hudson, provide New York with some of the greatest hydropower resources in the Nation, and New York’s Catskill and Adirondack mountains offer substantial wind power potential. 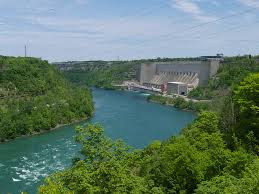 The EIA report notes that New York produced more hydroelectric power than any other state east of the Rocky Mountains in 2011 and that the 2,353-megawatt Robert Moses Niagara hydroelectric power plant in Niagara Falls was the fourth largest in the United States in 2010. Looking ahead, New York's Renewable Portfolio Standard requires that 30 percent of electricity come from renewable energy resources by 2015; in 2011, 24 percent of electricity came from renewable energy resources. The report also notes that residents in New York, in metropolitan areas at least, are already inclined to conserve energy. Although the state was the eighth largest energy consumer in the country in 2010, it had the second lowest energy consumption per capita after Rhode Island due in part to its widely used mass transportation systems. Two of the papers’ authors, Ingraffea and Robert Howarth, are also principal aubthors of another paper that has riled the industry with science suggesting shale gas development is as bad or worse than coal in contributing to greenhouse gasses and global warming. The work, titled Climate Impacts of Shale Gas Development, has been met with rebuttals and challenges (including this one by Francis O’Sullivan and Sergey Paltsev at MIT) as well as praise. That’s the fitting and proper nature of academic scholarship, the scientific method, and the hard work of blending science with policy. At the very least, it provides a starting point for much-needed discussions – one challenging the conventional wisdom that gas is cleaner than coal, and the other providing an empirical framework for life after carbon. With or without fracking, carbon reserves are finite, and New York’s share of them will last for maybe a generation or two, perhaps less. The legacy of abandoned wells may well outlast that. What then, if not renewables? And if renewables, why not sooner rather than later? We'd all better hope that a renewable energy future is plausible, because if it isn't, the alternatives are probably not going to please anyone. Like it or not, fossil fuel is going to become more and more difficult to extract, and more and more expensive to use, particularly when the costs of global climate instability are factored in. I am strongly in favor of renewable energy production and energy conservation, and I hope that NY will take the lead in both and become a model for the rest of the nation. I think it is morally indefensible for the U.S. to have gobbled up a lot of fossil fuel that was produced at great expense to human health and life, with a disproportionate amount of the damage being done to other nations (and to certain limited portions of this nation). If fracking helps to turn NY's attention toward a renewable energy future, then perhaps something good will have come of the shale-gas nightmare. If NY can do a great job of producing renewable energy (and I think that we could if we tried) that would be wonderful. We do, after all, have some important renewable-energy assets--like the hydropower mentioned in Tom's post, a coastline for offshore wind, and mountainous areas for onshore wind. But we also have a large population. If renewable energy takes off, there will probably be some states with a lot of land area but small populations that have excess energy to sell, and that's okay too, as long as no one takes the attitude that it's okay to exploit and trash energy-producing regions. It's probably neither realistic nor wise to expect each state to supply its own energy. The nation as a whole, however (and the world as a whole), really does need to balance its energy budget ASAP. And in my opinion, the Obama Administration is failing miserably as far as energy policy is concerned. I hope that Gov. Cuomo will follow a different path by looking to the renewable-energy future rather than the fossil-fuel past. Thanks for these excellent points. I agree we can’t expect states to produce the same amount of energy that they consumer, and (as with everything) there has to be some healthy give and take. I raise New York’s considerable shortfall for a few reasons. The first has to do with the awareness factor. It puts the anti-fracking protesters in a tough bind when they want to block energy production (with no concrete alternative) on the grounds that it is not environmentally sound, and then import that same kind of energy from someplace else. Because the anti-frackers are focused on blocking shale production in New York, it makes since for them to demonstrate the viability of alternatives here. New York’s broad political and demographic influence as a trend setter is also a fit. Of course, the fracking issue has motivated people who were unmotivated before. That’s the nature of many catalysts of political action. 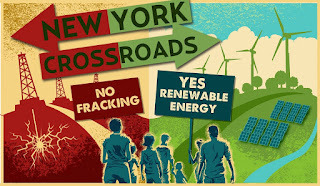 Since NY does have the potential to produce considerable renewable energy, I agree wholeheartedly that it makes sense for anti-frackers (and everyone else, for that matter) to push for more renewable energy production in NY. This is something we all should have been doing regardless of the fracking controversy, and should continue to do. And I agree that it is wrong to block some form of dangerous energy production locally, but then expect it to continue elsewhere. However, I don't think there are many anti-frackers in NY who think that we should just let the rest of the nation frack while keeping NY safe--most want to block fracking everywhere while simultaneously increasing energy conservation efforts and renewable energy production nationwide. Also, the argument put forward by some pro-frackers that those who want to block a dangerous form of energy must immediately come up with some alternative is not, I think, a well-reasoned argument, particularly in a world where people waste huge amounts of energy every day. So, for example, if there were a proposal to extract natural gas using nukes (a scheme that was actually tested years ago), I think it would be reasonable to immediately and strongly oppose that even if one had not yet worked out some alternative energy-production scheme. There are some things that are simply too dangerous to try, and refraining from speaking out in such cases just because one has not yet come up with an alternative doesn't make a lot of sense. To make an analogy, if you see a depressed friend preparing to jump off a bridge, you stop them first, and then worry about alternative approaches to dealing with the friend's depression later on, after the crisis has been averted. You don't stand there thinking, "Well, this guy's been depressed for a long time now, and I don't know how to help him, so I guess I'll let him jump." Thankfully, in NY, we do have alternatives to fracking, and we should be happy about that, forget the fracking, and get to work on the alternatives. Well said Mary. Conversely, should North Dakota stop producing shale gas and oil and burning lignite for electricity, since produced energy is greater than what's consumed in state? North Dakota likes the fact that its natural resources have value elsewhere. Like big cities for example. This is such a silly argument to make. A state either wants fracking or a nuclear waste dump or whatever - or not, period. Having to prove anything via feasibility studies just gives more ammo to the pro-fracking side - and more time to exhaust the anti-fracking side. If a state wants to frack its shale fossil resources all they have to do is get a seal of approval from an environmental NGO or two, keep the debate out of the press, arm twist and cajole politicians, and make stuff up about the bounty shale oil and gas will bring to the state. It just worked for Illinois yesterday. My condolences on the tragic situation in Illinois. I don't know what to say...it's all just too ridiculous and sad for words. I am pro wind and solar, but the assertions presented in the New York Wind, Water, Solar model are deeply flawed. I have studied the report in detail and it is not feasible as presented. First of all they present technologies that are not suitable for New York, in particular a huge emphasis on Concentrated Solar Power (CSP). CSP plants are built in the desert where you have wide flat expanses of land with little life or biomass and lots of heat. New York has hills, and all the land grows plants; forests, fields and farms which would be displaced to install solar. Most importantly NY has long, cold, dark winters, no developers are proposing large CSP facilities in New York because they would never work. They also dramatically understate the land use implications of massive solar build outs. By their own numbers the authors state that land use from solar would be a mere .85% of New Yorks land mass. Well New York is 52,000 square miles and .85% is roughly 475 miles (these numbers are off the top of my head so forgive me for being approximate). 475 miles is about the size of Tompkins County, home of Cornell, employer of the professors. Is it really an ecologically sound argument to effectively pave over an entire county with solar? Not to mention that their numbers are skewed because they assume only the highest conceivable performance efficiencies, the real numbers would be worse. They make similar mistakes with wind, dramatically overstating how many turbines are feasible to be built. They suggest thousands of 5 MW turbines, which are absolutely huge, most turbines in the NE are 1-2 MWs, 5MW turbines are way bigger, requiring bigger roads, bigger cranes and carrying bigger environmental impacts. Wind and solar are simply not environmental panaceas. Wind Turbine Syndrome is a legitimate health concern if you live near the turbines. Quebec recently enacted a 2km setbacks from homes for new turbine developments, a similar setback requirement would destroy the model we are discussing as it would severely limit the number of potential locations for turbines. There are many other flaws in their model, promoting technologies that don't even exist or are not proven. Even other Cornell faculty do not promote the paper as being reasonable. The untapped resources in New York people should be discussing are waste to energy and biomass. NY has vast biomass potential going unused and we ship garbage all over the place instead of converting it to fuel. Both of these can be converted into methane and pumped into the pipelines along side fossil natural gas and used to drive our cars. The authors of the NY WWS (Wind/Water/Sunlight) model clearly state that the model presented in Table 2 of their paper (the table from which Ed has apparently drawn the data discussed in his comment) is "one of several possible future scenarios for 2030." (See Section 4, p. 589.) So I don't think the authors intended Table 2 to be set in stone. Various tradeoffs could be made. For example, there currently seems to be a trend toward 6MW (or larger) offshore wind turbines, which raises the possibility of getting more power from offshore turbines and reducing the number of 5MW onshore turbines needed (or, alternately, using smaller onshore turbines). The land use for CSP proposed in Table 2 is .60% of NY's land area; the other .25% would be from PV plants. This is, admittedly, a lot of land, but I think we have to remember that while the equipment will need to be replaced over time, the sun will continue to shine on the sites chosen for CSP and PV plants, so unless we ramp up our energy needs (which we should not do--we should be looking for more and more ways to conserve energy), we will not have to keep building more and more and more CSP and PV plants. This is in contrast to the situation presented by a fossil fuel like shale gas, which is a temporary source of fuel and which requires the construction of more and more and more wells as older wells run dry; and of course, in the not-too-distant future, all of the wells will be dry and that will be that. Some people think that NY is a bad state for solar, but they probably would have said the same thing about Germany, and they would have been wrong. The numbers used to estimate NY's solar capacity in the WWS paper were from a 2008 National Renewable Energy Laboratory PV resource study. The WWS paper addresses the possible use of biofuels, and rules them out both because the land area required would dwarf that needed for WWS, and because the biofuels produce air pollution when they are burned. The WWS model counts on a serious decrease in air pollution, thereby generating health-related cost savings that help to pay for the conversion to WWS. And, in the name of sanity, if we are going to have a 2-kilometer setback for Wind Turbine Syndrome, then let's have a 2-kilometer setback from every gas well pad and any equipment and chemicals on the pad, and from pipelines and compressor stations too! There is a place not far from my home in Broome County where the distance between an inhabited residence and a huge, high-pressure gas pipeline is not much more than the width of the home's driveway! I have visited a wind farm, and I have visited a gas field, and I will take the wind farm over the gas field any day. I'll close by saying that, if for the last 150 years we had been using WWS to get our energy, and someone came along and proposed that we start digging up and burning massive amounts of coal, oil, and gas, that person would probably be told that he/she was crazy. We are all a bunch of slowly-boiled frogs who have become so used to the hot water of fossil fuel that we are turning down what may be our last chance to jump out of the pot. We need to take WWS models seriously, and we need to do it ASAP. Fracking opponents advocating for renewable energy is not new; it just hasn't gotten much press. I'm grateful that the emphasis on renewables for the June 17 rally has put the issue squarely before the public in a new way. Here in the greater Binghamton area, we already have a stake in renewables and their growth with the existing solar lab at Binghamton University, along with the hi-tech incubator project and the Smart Energy Center currently under development. More homes and businesses are installing solar panels - by the way, a lot of the solar install area in the NYS energy paper would be roof-top solar, so it would not be taking up much new land area - and some homes and businesses are converting their heating and cooling systems to geothermal. Buildings are being made more efficient through programs like Green Jobs, Green NY and increasingly efficient cars, including hybrids and plug-ins, are cutting down gasoline use. Governor Cuomo has been helpful in other parts of the state with conversion from coal to biomass, increased solar, and growing non-food-crop biofuels. The state needs to go further and faster along the renewable energy path to become a climate leader. With the 400ppm threshold already crossed, we as a planet are already behind on getting ourselves off fossil carbon and are already spending incredible amounts of resources on the effects of climate change and extreme weather. Climate scientists say that extracting and using only one third of known conventional fossil fuel reserves will send us over the 450 ppm tipping point. The planet can't afford to add unconventional fossil fuel extraction (shale/coalbed oil and gas, tar sands, mountain top removal coal) on top of that. Although the Howarth/Ingraffea/Santoro paper was controversial because it had to estimate so many emissions levels, as data is finally being collected to fill the knowledge gaps, it looks as though that paper was conservative in its estimates. Two published, peer-reviewed papers have measured methane emissions from active unconventional drilling basins at 4% and 9%. Studies of leakage from the distribution networks in Boston and NYC show thousands upon thousands of leaks beneath the streets. Above ground and underground methane plumes have been detected near fracked wells in PA. Compressor stations have been shown to leak methane and other VOCs. Shale oil wells are still venting or flaring methane in ND; satellites show the glow of the flaring, which is incomplete combustion, from space. In order to retain its standing as cleaner than coal in terms of climate change, fracked methane has to stay below a 2.5% leakage rate. (Some say 3% instead of 2.5.) Regardless, the data are showing that actual leakage is higher, so the argument to ramp up shale gas over coal to be cleaner does not seem valid. Given that NYS and the rest of the country are suffering from crumbling infrastructre, it does not make sense to invest in repairing and adding to gas lines which, at best, will need to be phased out soon. Our electric lines are aging and need to be replaced with smartgrid technology, which will afford more flexibility for regional production and moving the power to where it is needed. A recent University of Delaware study, among others, shows that the combination of solar and wind in a regional grid cover most of the gaps in demand. NY's assets in hydro can help to fill high demand needs. Note that most of the hydro capacity called for in the NYS renewable energy paper is already in place, with additional capacity using existing hydro dams to assist in meeting that sector. This paper also fuels all energy including transportation without using any biofuels. It would be possible for the governor to devise a plan based on the paper that utilized some biomass/biofuels, which would still emit some carbon, but would be easier to implement. The supposed be-all-end-all fugitive emissions from natural gas operations (wellhead to delivery)study is being sponsored by the Environmental Defense Fund (EDF), University of Texas - Austin (UT-A, URS, etc. and paid for by a slew of O&G companies. The first report was going to come out in January. Then March. Then May. Now it is being held until a second report is completed that looks at LNG distribution. I'm very sceptical of the delay of the first report. The intent was to revisit the work by Cornell and NOAA on the DJ basin in Colorado. The fieldwork went on during 2012 so it should be ready to publish. However, EDF pretty much pulled any progress updates on its website. My guess is that the participants got the wrong answer. So they commissioned another study to look into further downstream activities associated with using LNG for transportation. And to delay until Illinois passed fracking legislation based on EDF and NRDC inputs. Interestingly enough, URS has an environmental and shale gas field services division - so I'm sure there intentions are only good. They also wrote a chunk of New York State fracking supplemental EIS. I don't know exactly what is going on with the fugitive emissions report, but this much is certain: we cannot trust the EDF to protect the environment. They are too cozy with the gas industry. The important point is that the vast majority of scientists agree that the world needs to get off fossil fuels. Unconventional fossil fuel extraction and use only delays the transition to renewables. Rather than investing in the systems that are cooking the planet, we can and must choose to install the already technically feasible and available renewable energy systems now, averting the inevitable damage of more fossil fuel usage. My own grandmother could never have fathomed the concept of a computer let alone online communications! We must not limit our goals to what is only present in this day as far as technology is concerned. What energy path is yet to be discovered? Who knows - but we must investigate, invest and take steps forward. Good point. And people generally scoffed at Mitchell Energy's early ventures into fracking as a means to commercially develop shale gas. Few people saw that coming, except those with vision and dedication persisted. Thanks for sharing such useful information.At energyces we provide best energy consulting services. This blog was really useful and it gives me knowledge about groundwater, hereafter we should save the water, suppose we are facing a demand for water we can get the water by using Tanker Lorry Water Suppliers in Chennai .